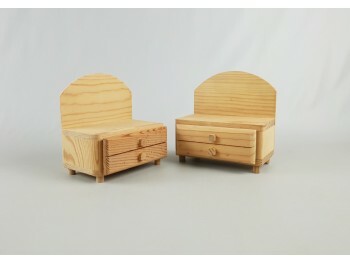 Desktop writing box in pine wood with divisions and 1 drawer, measurements 31,5 x 15 x 20,5 cm. Family of fully sanded beech wood dolls suitable for painting. Available in 5 shapes Woman measure L 9 x Ø 4 cm. Man measure L 9 x Ø 4 cm. Little girl measure L 5.5 x Ø 2,5 cm. Child measure L 5.5 x Ø 2 cm. Baby measure L 3 x Ø 1,5 cm. 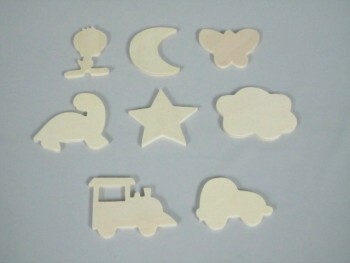 Decorative applique shapes, made of poplar 4mm. Ideal for paint. Size 6x4 cm. 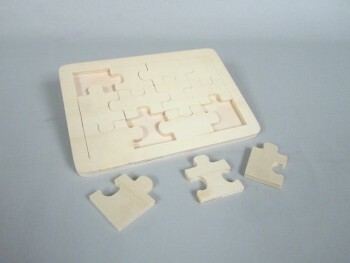 Poplar plate puzzle in 12 pieces. Measurements: 20,5x15x1 cm. 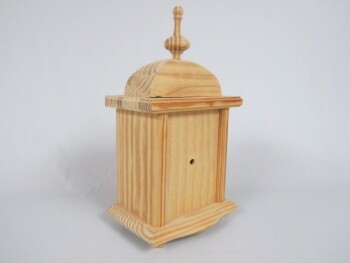 Solid pine clock to decorate. Back cover to put machinery Dimensions: 20 x 13 x 36 cm.